For the second year in a row, the Golden State Warriors are NBA Champions. And for the second year in a row, Nike is blessing the squad with exclusive Flyknit footwear that will never release to the public. 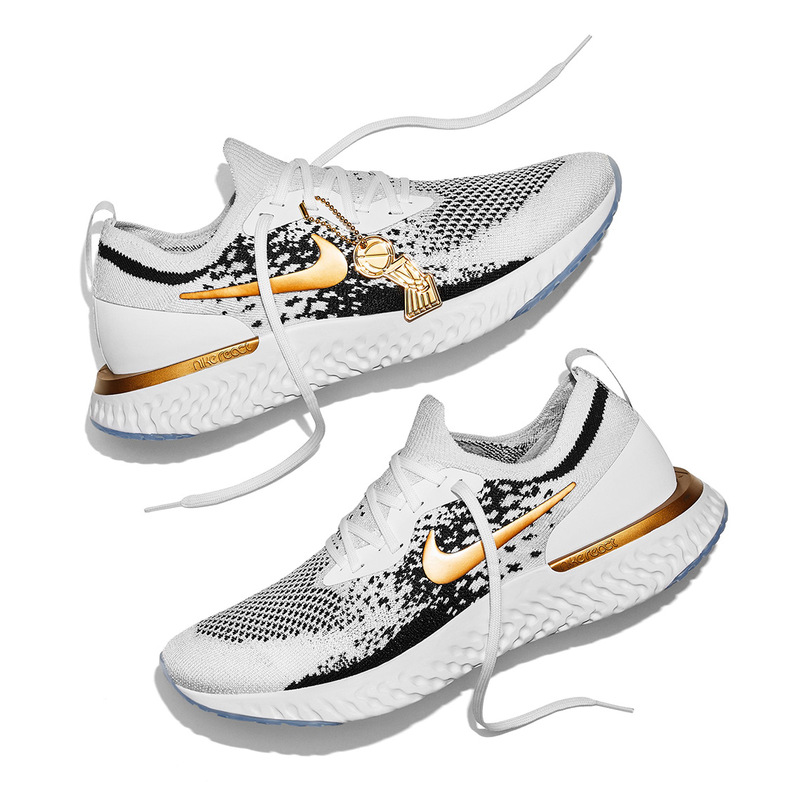 This special edition Nike Epic React Flyknit bears the regal colors of white, gold, and black with the Larry O’Brien trophy hangtag and custom insoles. 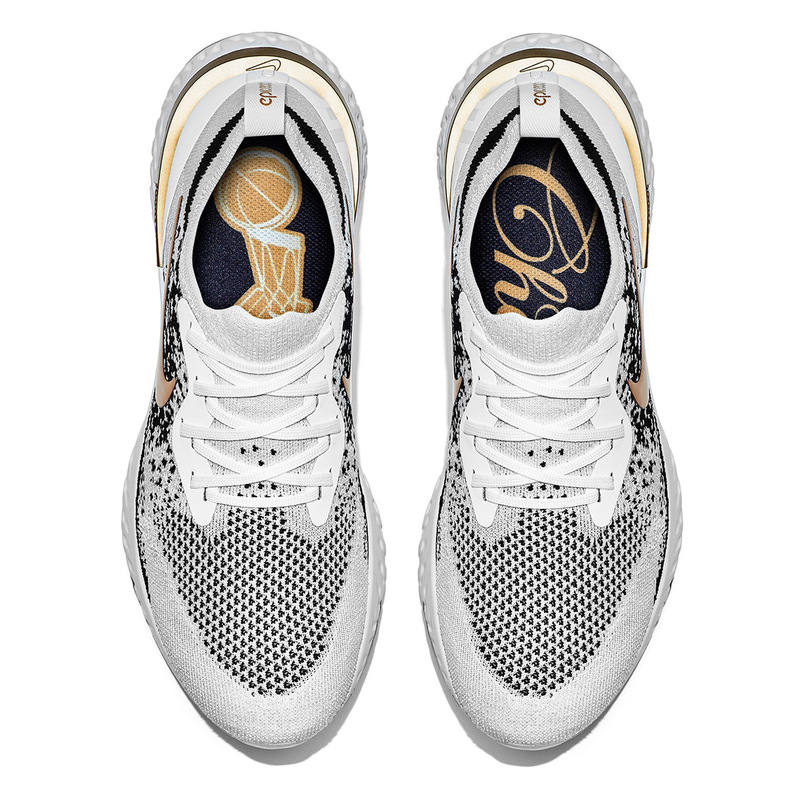 Just 37 pairs were made in sizes ranging 9-18 exclusively for the Warriors organization, and you might’ve caught Andre Iguodala wear them during the parade. 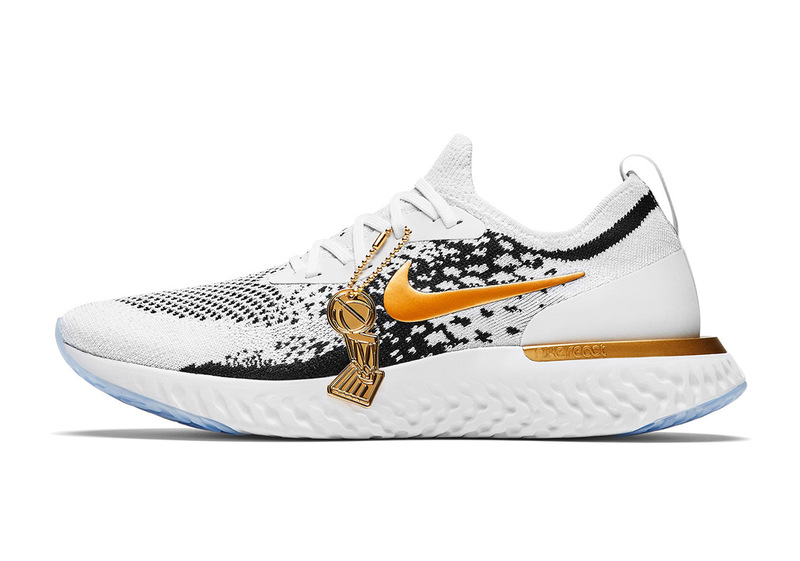 See a first look below and remember that Nike still have one release left from their Playoffs-themed Art Of A Champion Pack.